I am a keen admirer of the work of Professor Roddy Roediger, a cognitive psychologist who investigates how quizzes and tests directly aid learning by giving retrieval practice. I recently interviewed him and here is how he explains this effect and how we can apply this in practice. Could you explain a little about your background and how you moved into the memory field? I have a Ph.D. in cognitive psychology from Yale University. I’ve always been interested in memory, and I was surprised to find there was an academic discipline devoted to studying remembering, so I naturally gravitated to that. I worked with Robert Crowder and Endel Tulving at Yale, two leading people in the field. Since then I have taught at Purdue University, the University of Toronto and Rice University. 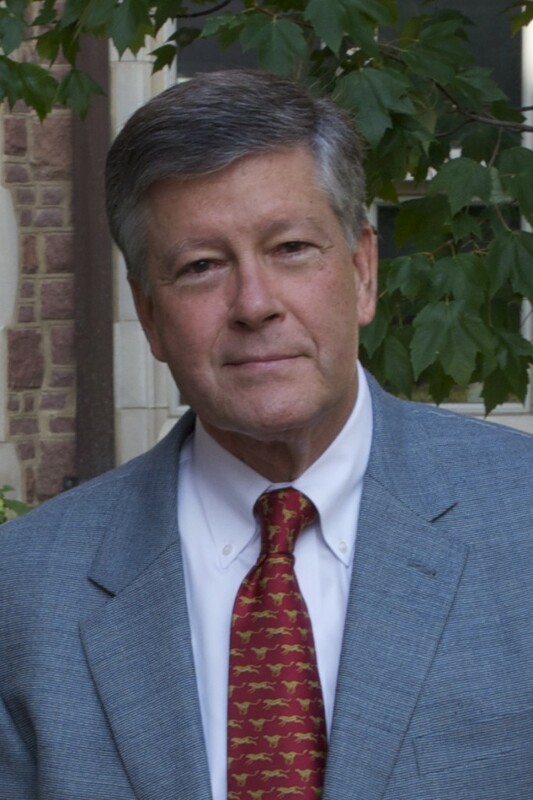 I am now James S. McDonnell Distinguished University Professor at Washington University in St. Louis. Most of my career has been doing laboratory research trying to show factors that help or harm memory. In the 1990s I published a series of studies on illusions of memory – that is, on false memories — how we can have very strong memories of something that either never happened or that happened quite differently from how we remember it. About 8 years ago I became interested in applying what we were learning about memory to education, and I started looking at factors that are important for learning and remembering but that are not well appreciated in education. One of these is retrieval practice, which is what happens when we test ourselves, or when we are given a test or quiz. When we actually retrieve information from memory, it’s a very potent enhancement to remembering it. We are much more likely to remember something again if we actively retrieve it than if we are passively exposed to it in restudying. Is this the testing or quizzing effect — that if you learn something and answer questions on it, you are much more likely to retain it for the long term than if you don’t answer the questions? Yes, absolutely. Making people actually think about material, to reconstruct it, to say it in their own words is much more effective than simply restudying it, yet many students don’t seem to appreciate this. If you ask students how they study to remember, their study strategy is typically re-reading and reviewing. That’s good up to a point, but it would be much better if they actively practiced retrieval, which is what a test requires them to do. If you haven’t constructed or answered practice questions, you won’t do as well on a test as students who have practiced. A lot of our readers are in corporate training; does this apply in this field too? How should this affect people’s design of learning programs? I think retrieval practice can have direct implications in the corporate world. Let me give you an anecdote. One of the people I was talking with about this was skeptical. She was going to work on the train, reading the newspaper like she does every morning. She decided she’d put the paper down after each story and summarize it to herself mentally in her own words. When she got home that night, she asked her husband to test her on the stories she’d read. And she did really well, surprising them both. Because after she’d read the stories, she’d retrieved them and put them in her own words in her mind. So if you’re a sales person and you need to remember a lot of qualities of your product to go out and sell it, the best way to do it is to practice retrieving the information and consult your notes only when you fail to retrieve a critical piece of information. Then when you are with a customer you will know all the information. I talk to textbook sales people a lot. Some can walk in and tell me all about the books while others just get out their notes in their folders and show them to me. It’s so much more impressive when the the salespeople can look you in the eye and tell you about the book without having to refer to their notes. How does this actually work inside the brain? We don’t know the neural mechanisms yet, but i can tell you some factors that seem to be important. There seems to be something about effortful retrieval that matters. If you have to put a bit of effort into the retrieval — if it’s harder to bring the fact out of memory — that helps. So imagine you are trying to remember a face or a name; say you meet someone and you want to remember her name. You might think it would be good to repeatedly retrieve the name immediately after you met her, but it is not. Repeated immediate retrieval is like rote rehearsal – and that doesn’t do very well. But if you space out your retrievals – so you do it right away after you meet the person (to make sure you have the name) and then you wait a while to try again and you keep trying at spaced intervals, you will remember the name much better. The delayed retrieval makes you expend a bit more effort. You want to make retrieval a little difficult for yourself, so something about retrieval effort does seem to matter. Another way you can see that is if you have people read a passage and take a multiple-choice test. In a multiple-choice test you see all the alternatives and you see which one is familiar and correct. You will get a slight benefit in retention from that. But if you are given a short answer question and can actively retrieve the answer, you will get even more benefit, because you have to reproduce the information instead of just recognizing it. Although both tests provide a benefit, research shows that more benefit accrues from a short answer test or quiz where you have to retrieve information than from a multiple choice or true/false one where you just have to recognize it. Would that apply to other kinds of recall questions like putting a number as your answer or filling in a blank in a question? Yes, it does. Fill-in-blank questions do provide the benefit. I assume the same would be true in remembering numbers, but I do not know any research on that topic yet. What about with multiple response questions or matching questions? We haven’t done the research in these areas, but we believe that questions that stimulate recall are superior to those that use recognition, but all retrieval practice is useful. Does it just apply to learning knowledge and facts or does it apply to learning concepts and higher levels of learning? It definitely applies to concepts. Let me give one example. Larry Jacoby and his colleagues at Washington University study how people learn bird concepts like warbler or thrasher and so on. He had some people study examples of birds and which category they were in, and another group were given tests on birds and tried to guess which category they belonged in (and then they got feedback). So one group just studied birds with their category names whereas the other group learned them while being tested on the names. When he tested both groups a couple of days later, the people who’d had been tested while learning did better than those who’d just studied the examples and the categories. In the test, he showed novel examples that people hadn’t seen before, for instance a bird that belonged in the thrasher family but that had not been used in the practice phase, and the people who’d taken the tests did better. Answering the questions about the birds allowed them to grasp the concept better and generalize it to new examples. By testing yourself, making mistakes and being corrected, you sharpen what you know about a concept. So this sounds like a significant way that people can learn better that isn’t widely known. Why is that? I don’t know! In his essay on memory, Aristotle said, “Exercise in repeatedly recalling a thing strengthens the memory.” Sir Francis Bacon and William James also knew the benefits of retrieval practice (or recitation, as it used to be called) and wrote about them. They didn’t have evidence, of course, except from their own experience. But the technique has mostly been lost from education and training. In fact the idea of retrieval practice is pretty much derided in education because people in the U.S., at least, are so opposed to anything that smacks of testing. Certainly testing can be misused; in the old school days there was an emphasis on rote memorization –students had to remember poetry, say, by heart. Educators later decried what they called this “kill and drill” approach to education and they got away from these techniques. That is good in part, because the philosophy behind rote memorization was misguided. Some educators a hundred years ago considered “Memory” to be a faculty of mind and to operate like a muscle. The idea was if a student practiced memorizing poetry, “the Memory” would become stronger and would be better at learning and remembering other things, like algebra. However, the mind simply does not work that way. Practicing one topic helps that topic but does not usually spill over to learning unrelated topics. But on the other hand, with the de-emphasis on memorization, the benefits of active retrieval should not be lost, because active retrieval is a potent memory enhancer. When you see how children learn multiplication tables, they use flash cards with 6×4 on one side and 24 on the other, and teachers say, “Practice until you think you really know it. Practice until it’s completely automatic.” So teachers use retrieval practice for multiplication tables, but the idea that you can use it for much for complex ideas is not widely appreciated. Testing has gotten a bad name in the educational community. Instead of thinking of testing as standardized testing to place people into groups, we need to see use of low-stakes quizzes in the classroom and self-testing outside the classroom as a study and learning strategy. Next week we’ll publish the second part of the interview, in which Professor Roediger gives practical advice for people seeking to use the retrieval practice effect to help people learn.